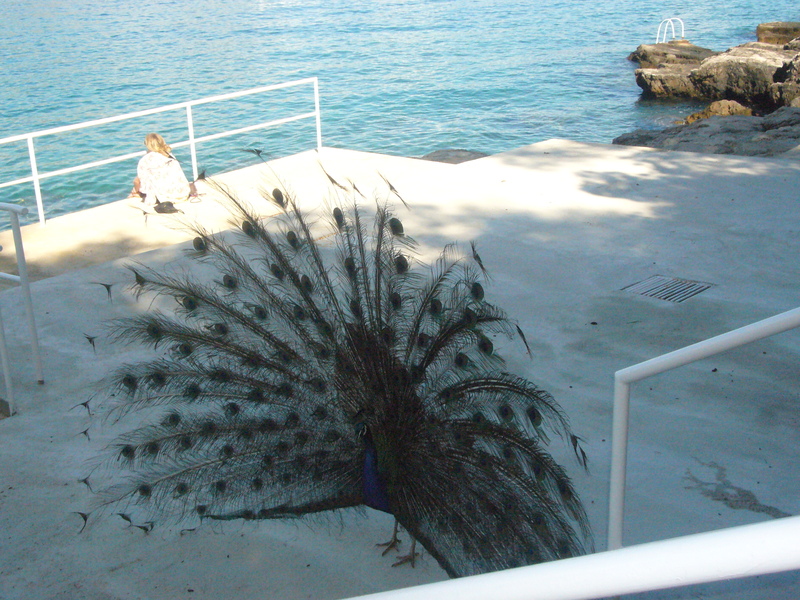 The island of Lokrum is a great excursion from Dubrovnik. There are numerous islands to explore around Dubrovnik but this is an easy option because it is just a 15 minute ferry ride from the old town. 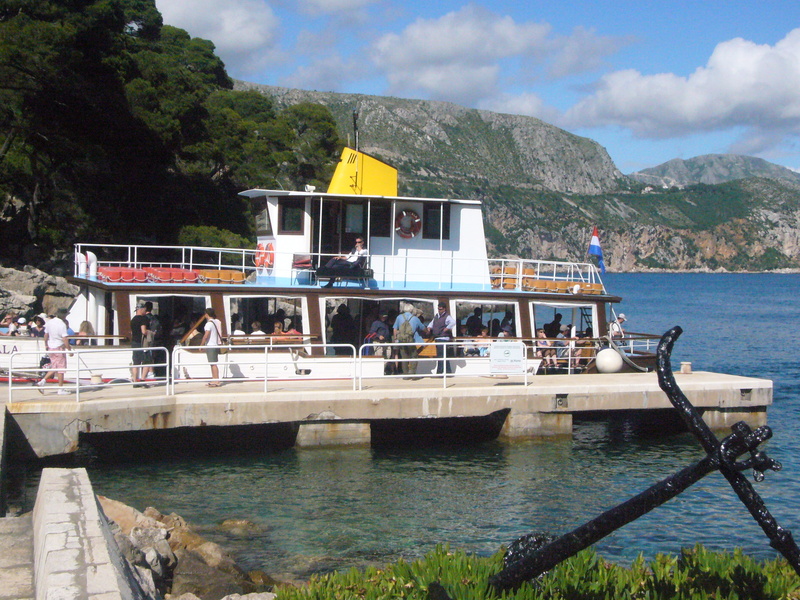 Its a fun ride with fabulous views of Dubrovnik from the Adriatic. The island looks deceptively small , every half an hour, a ferry -load of tourists disembarks, but one can keep walking around for long stretches and not bump into anyone. The island is lush with pines,palms and cypress trees, there is so much to explore. 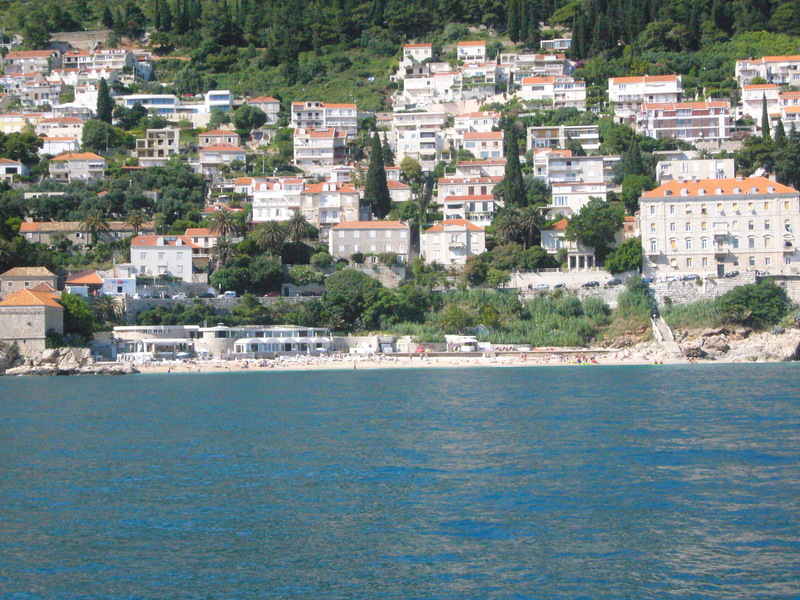 There are stunning views of the Adriatic on one side with steep steps leading down to the water. 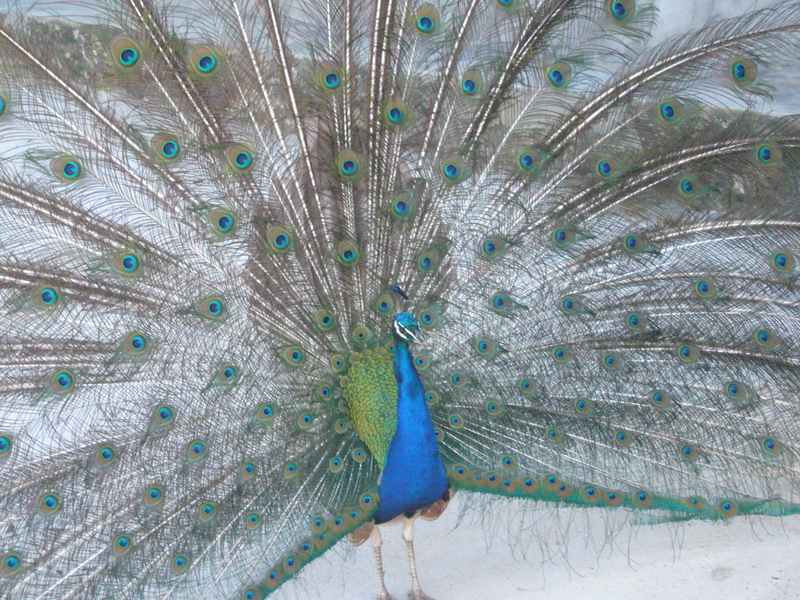 I was delighted to see resplendent peacocks strutting about freely on the rocky paths. I was told that they were brought back by Maximillian of Hapsburg, from the Canary Islands. They have adjusted very well in the last 150 years to their new habitat. 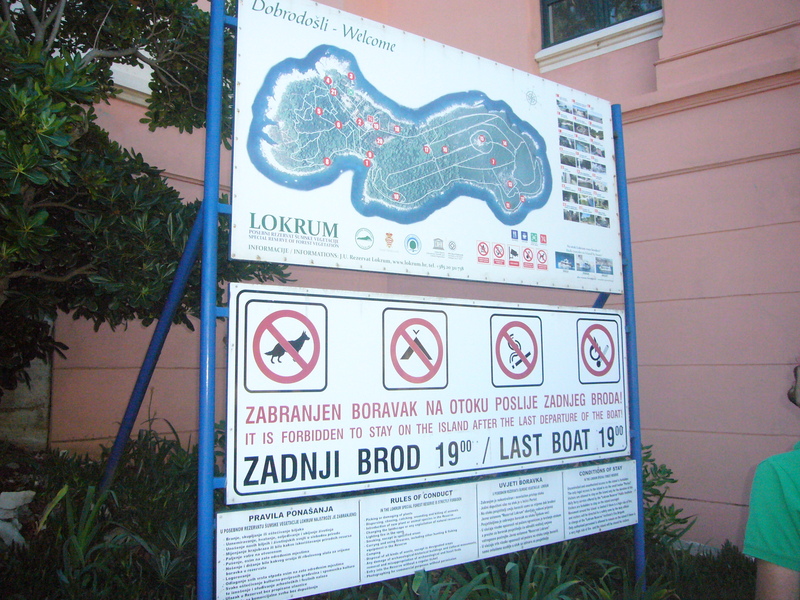 Lokrum was Maximillian’s summer residence and he is said to have contributed to the greenery on the island because he was devoted to horticulture. He was also a dedicated traveller and brought several plants from all over the world. Today there are 500 kinds of trees and plants from Australia, South Africa, South America and elsewhere across the world. Its very difficult to believe that this idyllic little island is cursed and no one lives here. There are no houses ,hotels, shops or even souvenir stands. People only come for the day. The last ferry leaves at 7pm. Sometime around 1023 there was a big fire in Dubrovnik. the people prayed to St Benedict vowing to build a monastery in his name if he spared the city. Their prayers were answered so they fulfilled their vow , and a Benedictine monastery was built on Lokrum. The legend of the Lokrum curse started in the 12th century when a French general ordered the expulsion of the Benedictine monks. Three aristocratic families of Dubrovnik conveyed these orders to the monks who remonstrated but in vain. The night they were to leave, shrouded in hooded cloaks they circled the island thrice, turning their lighted candles upside down, creating a melted trail of wax, all the while chanting the harsh words “whoever claims Lokrum for his own personal pleasure shall be damned”. At dawn they left ,never to return. The legend says the curse can be removed only if all the wax drops from their candles are collected again. The curse soon started playing out. The heads of the three families of Dubrovnik soon died one after another. Misfortune and tragedy followed every new owner for several centuries including many European conquistadores and several royal families of Europe. 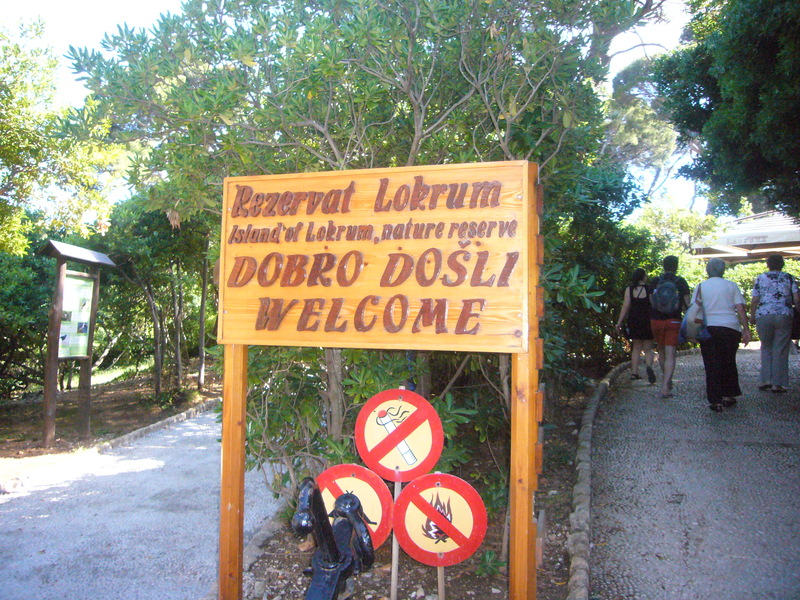 In 1976 Lokrum was declared a Special Forest Vegetation Reserve and is under UNESCO protection. Today it is a delightful and relaxing daytime picnic spot . There is a charming little salt filled lake linked to the open sea , called the Dead Sea ( Mrtvo More) Its only 10 meters deep and is on the southern part of the island. Just like its namesake, its very pleasant to float on. Not far from the Dead Sea , is a naturist beach or FKK as they are locally known in Croatia. ( Freikörperkultur / Free Body Culture) . Its a rocky cliff beach . Many people go to spend the day here to swim freely. There are several cobbled paths crisscrossing the island with tracks leading uphill to an old star -shaped Napoleonic fort. 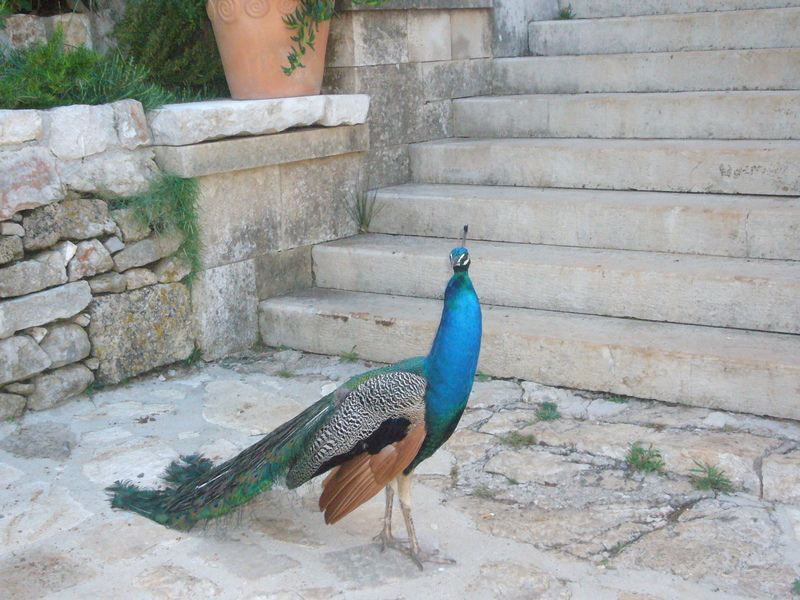 Its worth the trek for the stunning ,panoramic view of the sea and of Dubrovnik. After the trek up to the fort , its very pleasant to just flop down near one of the several little nooks with pools of water surrounded by rocks and while the day away. Its truly a piece of paradise, curse notwithstanding.